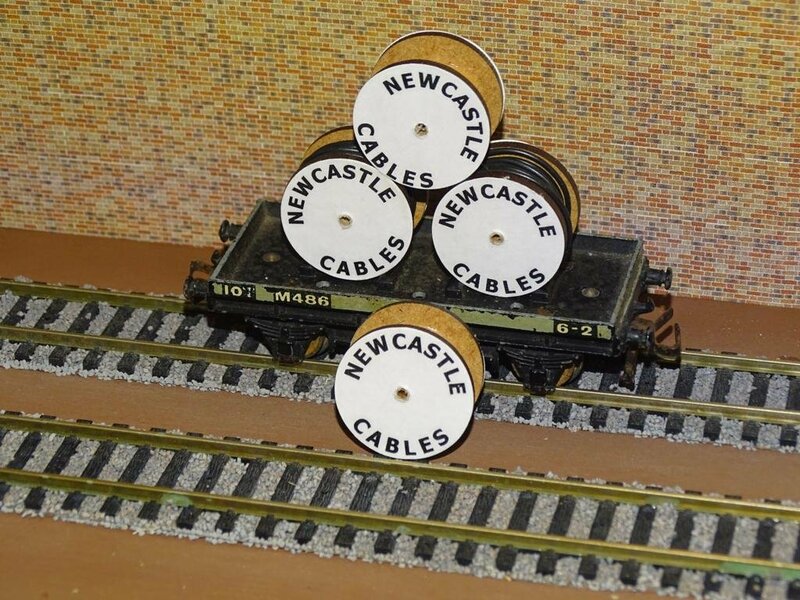 Set of 4 cable drums. 2 with black cable loaded. 2 empty for you to add your own load as you wish. The come with a small hole through the middle for mounting. Includes a length of strong black cord to mount them with. (shown on a diorama, not for sale). FREE with this order (subject to stock). A pack of 2 extra drums of our old style which have a bolt through the middle. We no longer make the bolted type and have a few left over. We'll include a pack of 2 FREE with this order. Colour, load and name of the free pack will vary as available. See the last picture for an example of the bolted packs.